Hello Mets fellows! How have you been? I’ve missed Hakodate, especially Hakodate Mets members, since I left there. 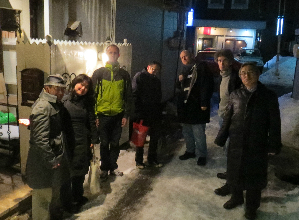 Hakodate Mets meeting after a long absence! If you are attending the meeting, RSVP by e-mail by 7 of December (Thu). METs : HAKODATE METs MEETING Yes, I will attend the meeting. Copyright © [ せっせせっせと・・・ ] All rights reserved.